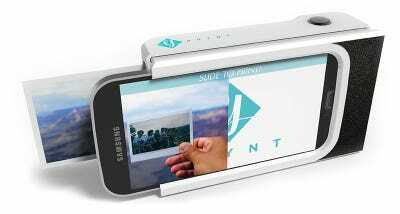 A French startup called Prynt recently debuted a $US99 smartphone case that includes a built-in printer. The case’s printer connects to your smartphone via Bluetooth and can print photos in roughly 50 seconds. Prynt began designing the printer case in January and will launch its first case, priced at $US99, at the beginning of next year. Though the Prynt case is designed for 4-inch smartphones, the company says it plans to make cases for larger phone models in the future. The company’s developers also say future cases will be able to print pictures in under 30 seconds.